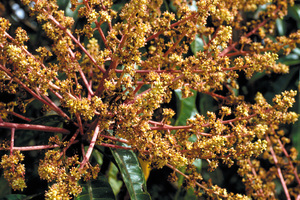 Closeup view of mango tree flowers, Cardwell. QLD. Photographer : Willem van Aken on August 04 1998.